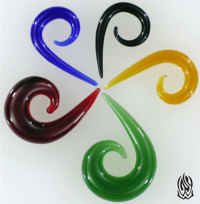 These Glass Retainers are made by Glasswear Studios using either Quartz or Pyrex. They are great for healing or stretching piercings, as they can easily be autoclaved. They come complete with o-rings to secure the plug in your piercing. They are sold as a pair, if you would like a just one, please let us know in your order's notes. These are also available in a sterilized pack for an additional $4.99. 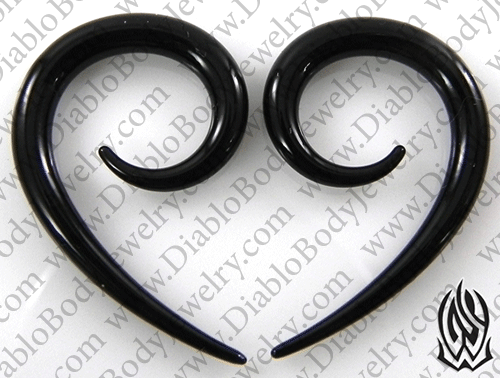 Wearable Length: 3/8", 7/16", 1/2", and 5/8"
Color Availability: Colors are available on sizes 8g to 00g. 11mm is only available in Black, Clear, and Amber; 12mm only available in Black, Clear, Amber and Emerald; 13mm and 14mm only available in Clear.